Ecuador’s Minister of Petroleum, Energy and Communications Jorge Glas Espinel called on Turkish businessmen to invest in Ecuador while speaking at the Turkey-Ecuador Commerce & Investment Forum in Istanbul March 16. Espinel said that Ecuador would like to attract investors and create new business opportunities. The minister explained that Ecuador embarked on the construction of eight hydroelectric power plants in 2011, which are expected to be in service by 2016 and will meet a major part of Ecuador’s electricity requirements. 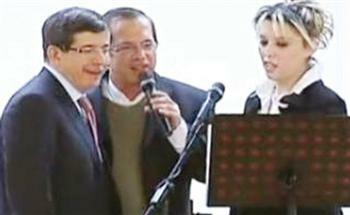 Espinel said Turkey and Ecuador could cooperate on technology, energy resources and data transfer. He also added that Ecuador is open to new partnerships in oil extraction, refining and transfer, adding that the country may give priority to investment in the oil sector. Meanwhile, President Abdullah Gül, after his meeting with Ecuador’s President Rafael Correa Delgado March 16, said that the existing $150 million trade volume Turkey enjoys with Ecuador is not enough, and needs to increase. He told reporters that Turkey is working on a free trade agreement with Ecuador, which will be ready soon. Some 90 percent of Turkey’s banana supply is imported from Ecuador. Minister Çağlayan said Turkey’s exports to Ecuador constitute $50 million of the overall trade volume, and the remaining $103 million represents Ecuador’s exports to Turkey. The minister said he did not see this volume sufficient. Turkey and Ecuador also established a business council under the auspices of Turkey’s Foreign Economic Relations Board (DEIK).